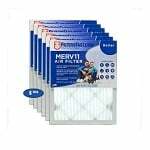 The 3M Filtrete OAC250 Office Air Cleaner includes the Filtrete OAC250 Air Cleaning Filter that helps to purify the air in your office, by reducing airborne particles such as mold spores and pet dander. 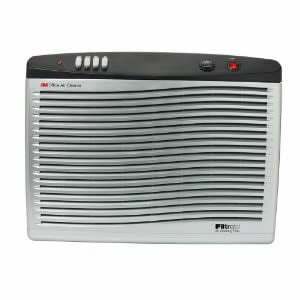 This OAC250 Office Air Purifier can be used in conference rooms or other large work spaces up to 320 square feet (16" x 20"). This 3M air cleaner is available in white. 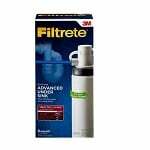 The 3-stage filtration system of the Filtrete OAC250 Air Cleaning Replacement Filter contains activated carbon that reduces odor and captures microscopic allergens such as smoke, dust, smog particles and pollen. Airborne building contaminants are known to cause "sick building syndrome" or SBS. Sick Building Syndrome occurs when occupants experience acute health related symptoms or illnesses associated with time spent in a building, a particular room or work zone. Some of those symptoms include headaches, dry coughs, dry or itchy skin, nausea, difficulty with concentration, dizziness, sensitivity to odors, fatigue and irritation with the eyes, nose or throat. 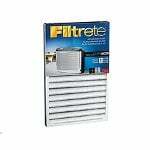 3M Filtrete OAC250 dimensions: 21" x 16" x 6.75"
The 3M Filtrete Office Air Purifier releases filtered air from the top of the unit to increase air circulation. As the room air and particles enter the air cleaner, the ionizer enhances cleaner efficiency by creating ions which removes microscopic particles from the air. The 3m Filtrete OAC250 features three fan speeds, an ionizer On/Off switch and a filter change indicator so you will never have to guess when your filter needs to be changed. For optimum performance, replace your OAC250 filter every 3 months under normal operating conditions.